Residential development finance is like a normal building loan; a short-term fund that is provided to purchase, renovate or expand a property. It is offered at an interest rate that is gradually lower than commercial development finance. This type of loan or finance could be used to construct a duplex, triplex residence, townhouse or a block building. However, anything other than these 4 units will come under commercial structures and fall under commercial development finance. Like every other financing option, this is also released by the financial companies at each stage of residential development. After Frame stage. Lock-up stage (placing of walls, windows, and doors). Fixing stage (attaching architraves, doors, built-in shelves, baths, shower screens etc.). At Ralph Property Finance, the application processing is done in a minimal amount of time. This way, the residential owners can apply and do a smooth transaction for their further processing at any residential development stage. With the residential development finance, you can ensure that it would cover the costs related to the residential development or refurbishments. We offer personalised financing options that help to expand your home in Greater Manchester. With our residential development finance, it is easier for citizens to keep their home according to the modern housing interior or designs. We offer the residential development finance with speedy application procedure that could support you in finance for your home expansion or redevelopment in Bolton. 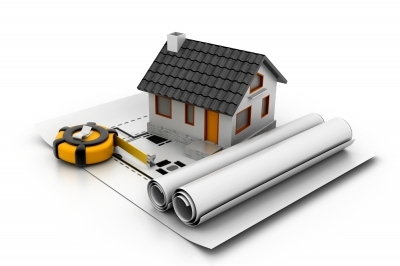 We are the specialist in offering residential development finance for all kinds of residential housing in Rochdale. We offer residential development finance for the Oldham natives with a minimal application process. With this, one can expand, purchase or refurbish a property in Oldham. We offer a flexible financing solution in the form of residential development finance and help to develop your home in Ashton. Our residential development finance can be used for residential property purchases or property renovations of Hyde. Our Residential development finance is a brilliant solution for all your residential development needs in Denton. Avail it at the competitive rates and with flexible terms. We offer the residential development finance for all types of residential properties with fast disbursement in Tameside. Our residential development finance fits for the commercial, residential or mixed developments in Cheshire. We minimize the application process for the residential development finance in easy, clear and possibly quick for Stockport citizens. So, the requirement for a short-term loan could be availed easily. We provide stress-free and competitive financial solutions in Wigan. Our residential development finance helps a residential property owner to redevelop or refurbish his/her property. It is quite common in Leigh that citizens build a multi-storey home to keep themselves up to date in the modern society. With the residential development finance, they can be stress-free and expand their residential home to a modern house. Our residential development finance helps to cover the residential needs including the property purchase, refurbishments or property expansion in Salford. We offer residential development finance that would cover the needs in your new build projects, redevelopments, renovation works or just general refurbishments in Trafford.